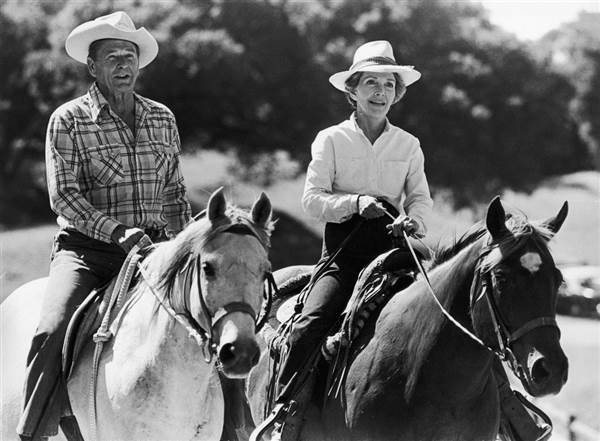 Their marriage lasted 52 years, until Ronald Reagan’s death in 2004. 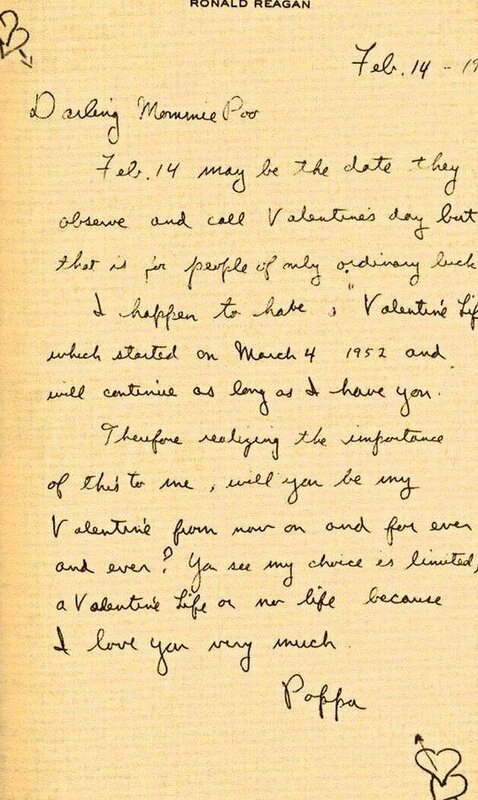 Ronald Reagan writes to Nancy on Valentine’s Day. “The movies were custard compared to politics,” Mrs. Reagan once said. 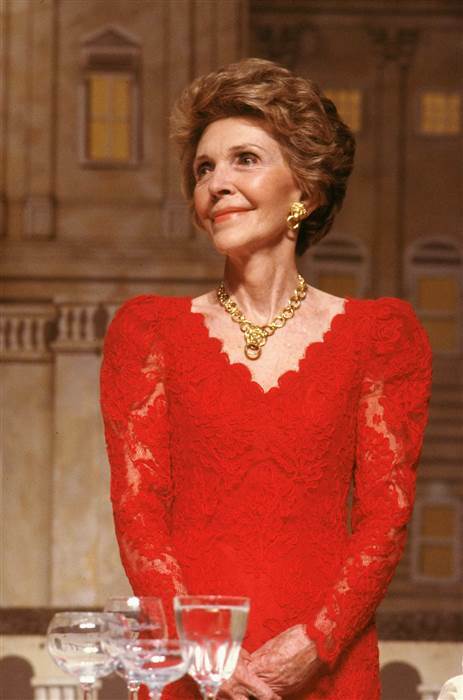 When her husband became president of the United States, First Lady Reagan continued her interest in these groups continued, and arguably became best known for her “Just Say No” program fighting against drug abuse among youth. When Ronald was shot in 1981 by a would-be assassin, Nancy rushed to his side immediately, and later endured his nearly decade-long battle with Alzheimer’s disease. In recent years she broke with fellow Republicans in backing stem cell research as a way to possibly find a cure for Alzheimer’s. Previous articleChris Rock’s 2016 Oscar Monologue: Did it work? Next articleLatino Nate Diaz shocks the UFC world and becomes champion.